When we hear about “elder abuse,” our first reaction is likely to think about physical or psychological abuse. Sadly, there also exists financial abuse, and it’s more common than we may think. Elderly Americans are the victims of fraud adding up to more than $2.6 billion per year, according to statistics. 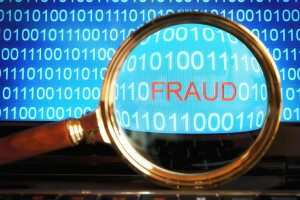 Fraud can occur in many ways, from online scams to people stealing directly from their victims. If you’re a caregiver to a senior, you may want to ensure that he or she is aware of the risks of being scammed and how to reduce that risk. Telemarketing, computer “phishing,” and befriending lonely seniors are popular techniques among fraudsters. Telemarketing fraud occurs when people call seniors and convince them to buy something they don’t need (often with recurring payments), or to buy items or contribute to causes that don’t exist. Phishing occurs with emails that look like they come from legitimate businesses, such as banks, insurance companies, and credit card companies. The links in the email, when clicked on, may lead the computer user to a site that will send malware or viruses to the computer in order to steal important information, or they may lead to a site where the user will be tricked into providing passwords and security information. Things are a rush. Money needs to be transferred or deposited immediately to either solve a problem (such as helping a supposedly injured relative or fixing a computer) or to take advantage of a wonderful too-good-to-be-true opportunity. Inability to identify the person who is asking and/or the service to be provided. Often the person who is calling or knocking on the door won’t give a name or proper identification, or they refuse to give a phone number, which you can call for information. Also, they may refuse to put in writing the service that they claim they will provide. They don’t explain the issue in terms that are easily understood. Often, scammers and fraudsters use complicated and convoluted language on purpose, to confuse the target. They feel alone and the fraudsters offer them companionship. They aren’t experienced enough with computers and are easily tricked by emails. They may not hear well and if a fast-talker gets them on the phone, they may not pick up on clues that something isn’t right. Aging can be difficult enough for many seniors, but if they are victims of financial fraud, it may affect them not only emotionally, but physically if they no longer have money to provide for their needs. If you are concerned that someone you love may be having difficulty managing alone, we at Hired Hands Homecare can help. Our in home care services can provide companionship and assistance with personal care and daily activities. In addition, our caregivers will get to know your loved one and are often the first to pick up signs of health issues. Hired Hands Homecare is a top-rated home care company in California, serving Marin, Sonoma and Napa Counties and the Tri‑Valley area. Contact us for an assessment, to see how we can help.